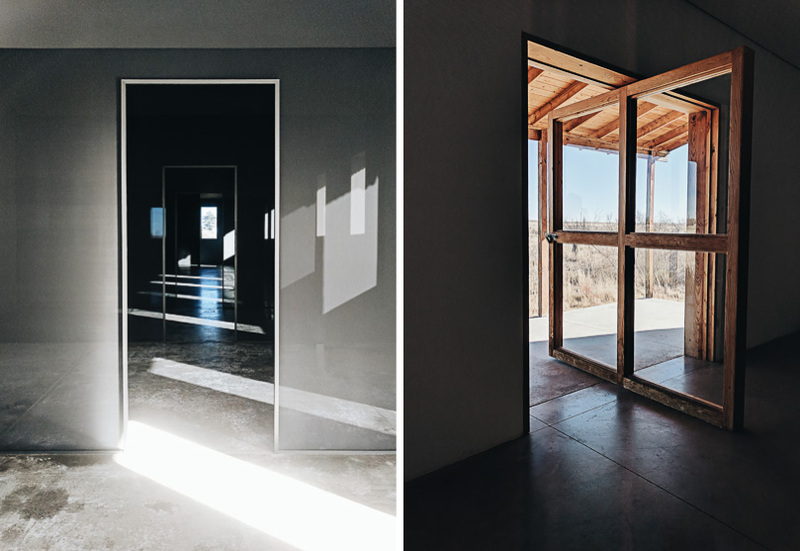 A couple days before New Year’s Eve, we decided to go to Marfa for a short stay. 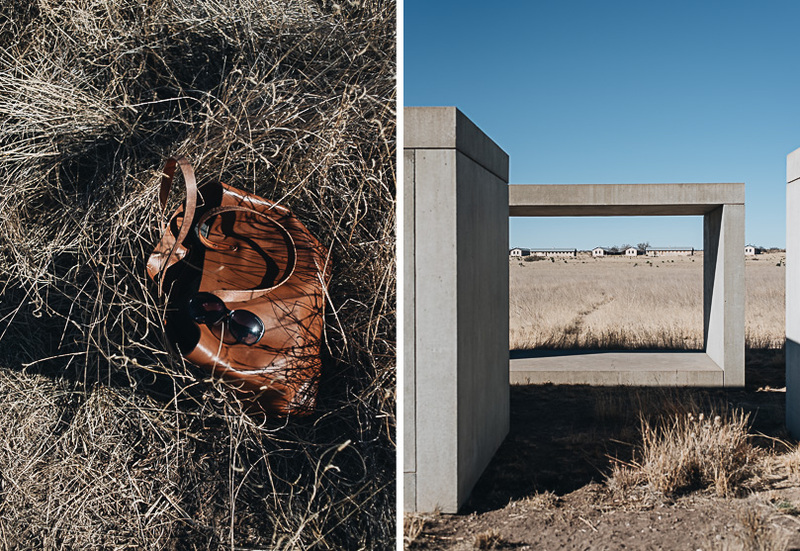 It is a famous small town in west Texas known for its contemporary minimalist art installations. 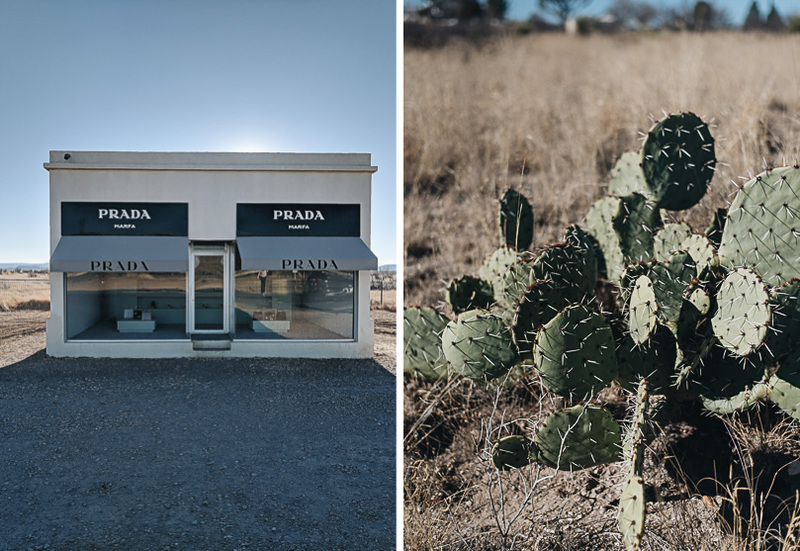 You might have seen pictures of the iconic landmark – a Prada store, a couple miles outside Marfa, sitting in the middle of the desert. The weather there was surprisingly nice. I was expecting freezing winter weather, but it was warm and sunny during the day. And it was comfortable with a leather jacket or light coat during the evening. 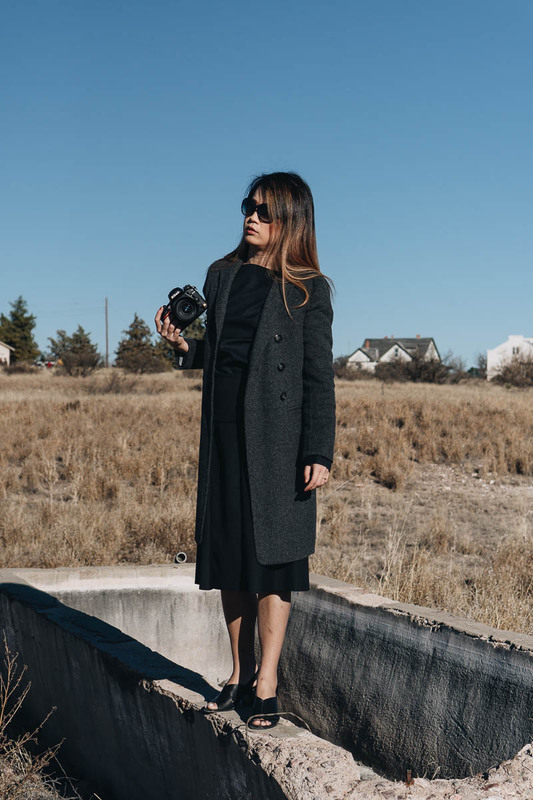 Check out this post for what to wear in Marfa in winter. 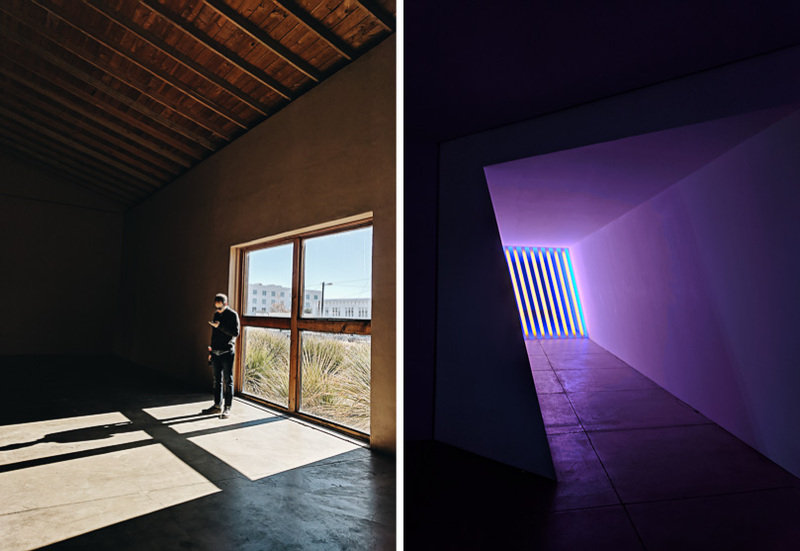 If you travel to Marfa the first time, I highly recommend you book the Chinati Foundation tour in advance so you can visit the most famous art installations in the area. We booked the trip just a few days in advance and we were lucky enough to take the last few spots of a full exhibition tour. The tour takes 6 hours and starts in the morning, with a 2-hour lunch break. It might seem super long, but it’s really worth it because it shines a new light on these artworks when you hear the stories behind them. Plus you won’t be able to access most of the exhibitions with the self-guided tour option. If you have limited time, the selection tour (which lasts 2.5 hours) is the next best option. I would recommend the one that starts in the morning. 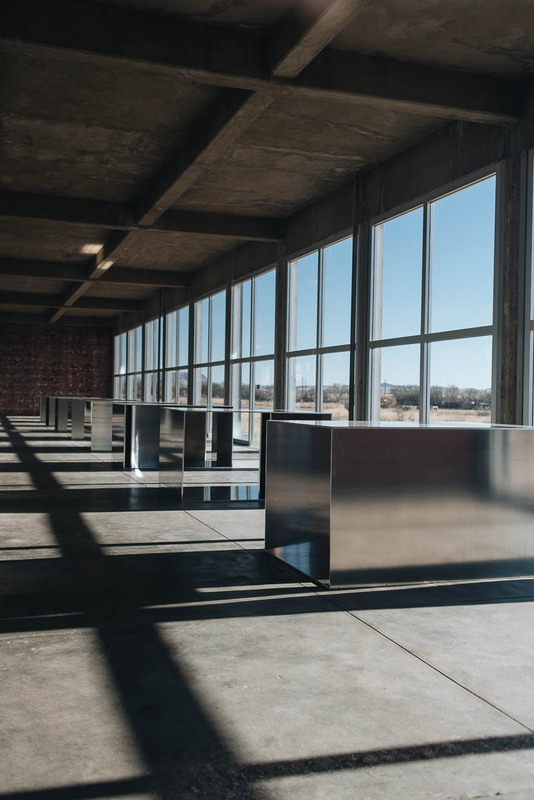 That way you can see Donald Judd’s 100 untitled works in mill aluminum in stunning light conditions. It was one of our favorite installations. We went back a couple times at different hours and the feel of the place totally changed each time. Almost all of the famous art installations are located in different buildings without clear signage and are locked except during the tour. And the self-guided hour is extremely limited. That’s why a tour booked in advance is the best way to go. You are not allowed to take any photos during the tour or inside of any of the exhibitions. So if photography is a part of your plan, you’ll be very disappointed (I was!). 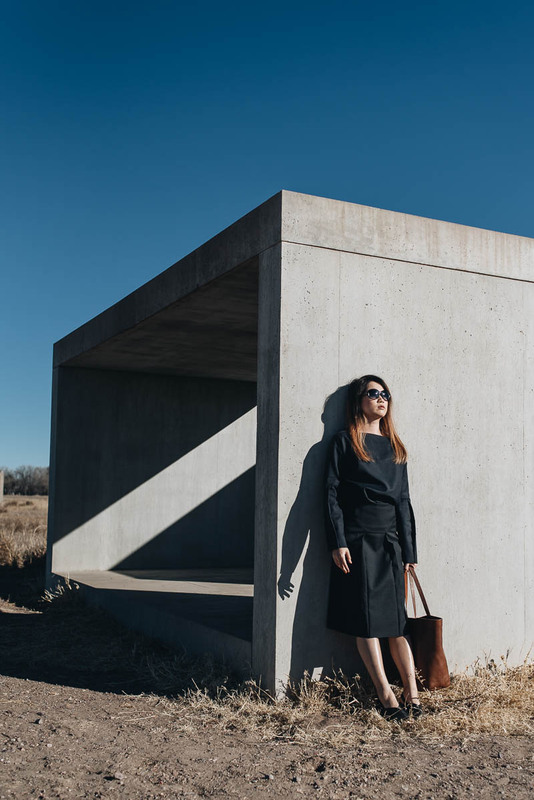 The only installation where photography is allowed is Donald Judd’s 15 untitled works in concrete (which is outdoors). During our visit I managed to snap a few illegal shots with my phone but they hardly caught the magical real-life vibes of the exhibitions. And hopefully I won’t be added to the foundation’s blacklist for sharing these photos. One word about the famous Prada store. If you plan to shoot there, definitely go before noon. We went at the wrong time and arrived right before sunset. The store was totally backlit and it was next to impossible to take any good pictures. 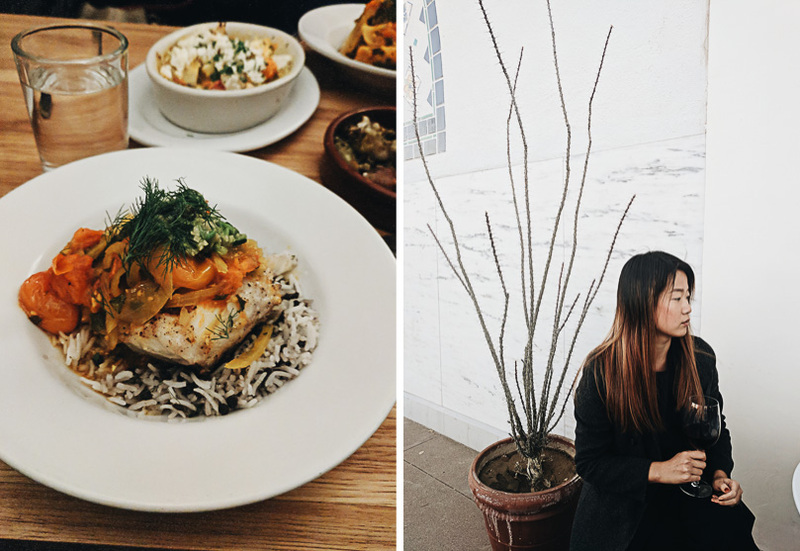 When you’re in Marfa, you have to try out Stellina, the best restaurant in town. The place has great vibes, superb food, and a huge selection of healthy dishes. You have no idea how happy I was when I saw that beautiful roasted cauliflower and kale salad while most of the meal options nearby were very heavy Tex-Mex. Be sure to arrive early (since they don’t take reservations) or else you could face super long wait times. Also, check out LaVenture at the boutique Hotel Saint George. We only had coffee there, but they also have a great menu and offer lunch. 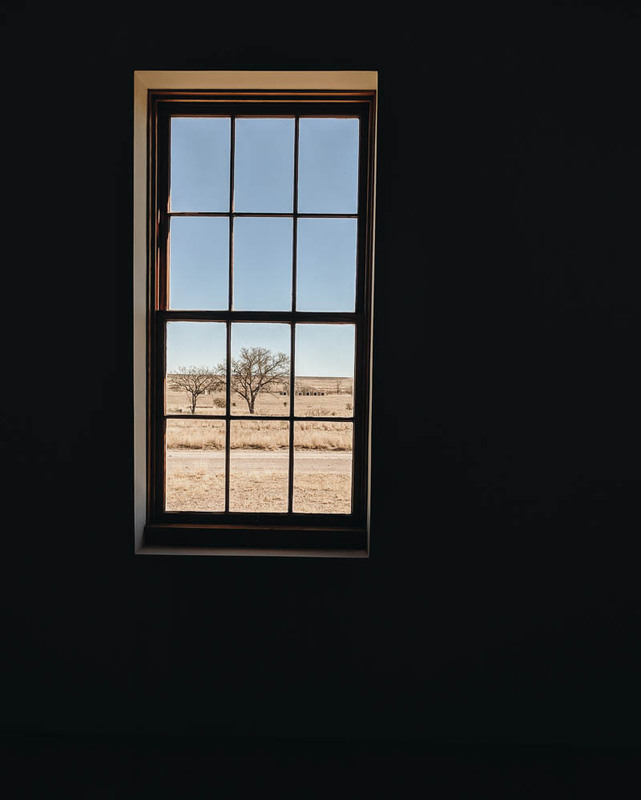 We spent two quiet and peaceful days in Marfa, enjoying the artwork, the slow pace of the town, the beautiful nature, and the stars in the pitch dark sky. It was a perfect trip before New Year, because it gave me some time to detox from all the buzz and enjoy the peacefulness of the desert. I felt refreshed and ready for the new year. And I’m already looking forward to visiting the place again. 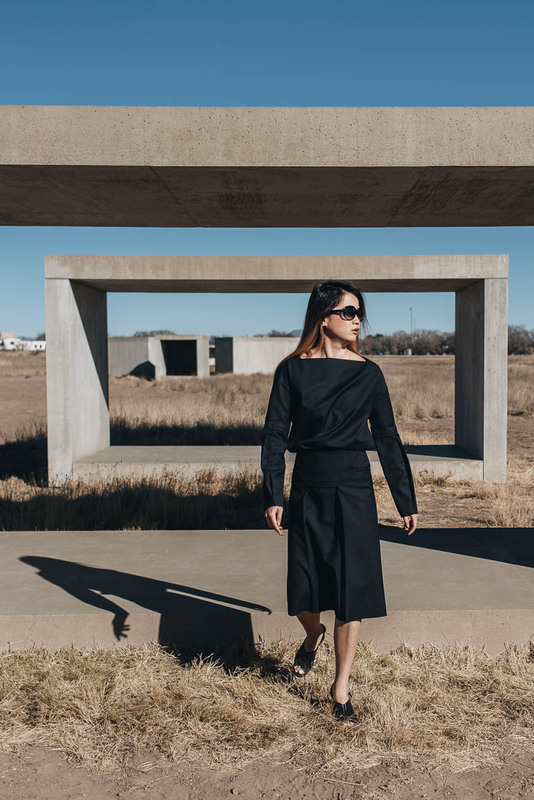 When traveling to Marfa this winter, I brought two outfits from Cos to echo the town’s minimalist style. The first outfit: Cos top, skirt, and sandals. The second outfit: Zara top, Cos trousers, Acne Studio boots. 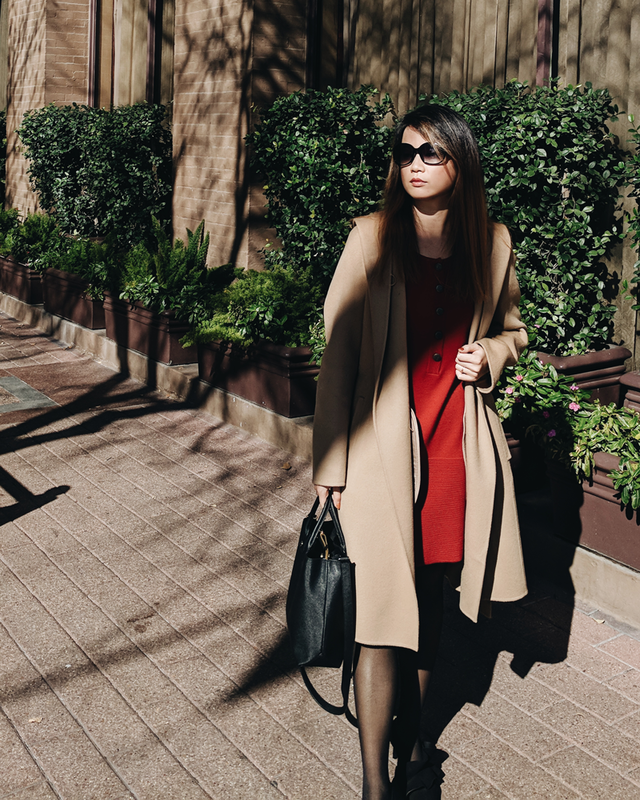 I layered them with a MaxMara coat that kept me warm during the night out. 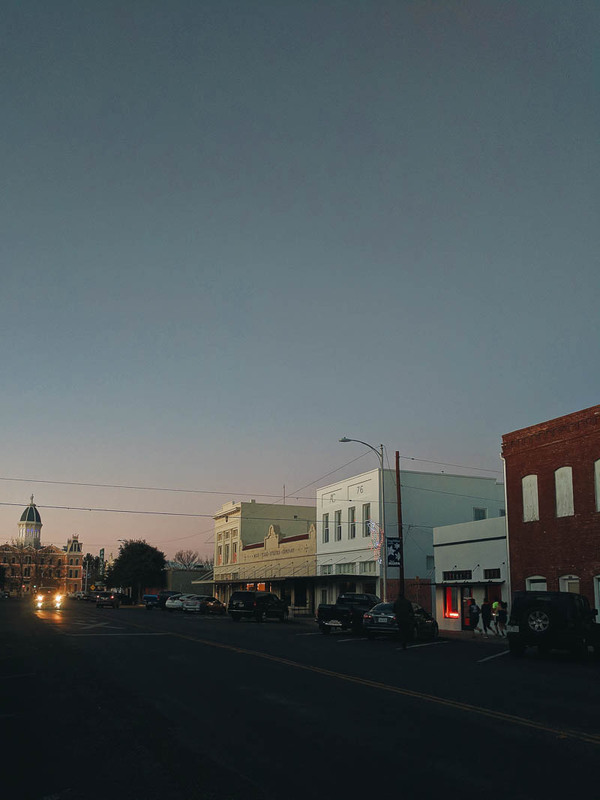 The winter weather in Marfa is rather comfortable. Due to the desert climate, it’s warm during the day but gets cold quickly when the sun goes down. During our day there (at the end of December), it was very comfortable to walk around with a sweater and light coat. Sometimes it got so hot that I could have gotten by in a t-shirt. Definitely bring layers when you plan your trip there. 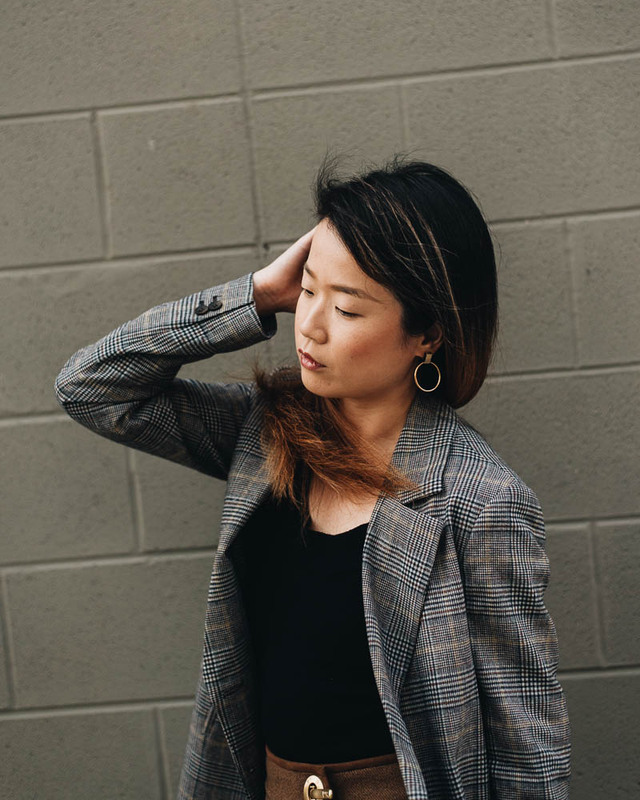 I’m late to the party on this winter’s checked blazer craze and finally got mine from Zara. I styled it with a short skirt, stockings, and a pair of Mercedes Castillo pumps. Although now I’m living in a small town, my heart flies back to where it belongs when I have a piece of the city on me. 2017 was quite a busy year that was filled with travel. That’s why I booked a staycation for my husband and myself for Christmas, so we could lay back and relax. 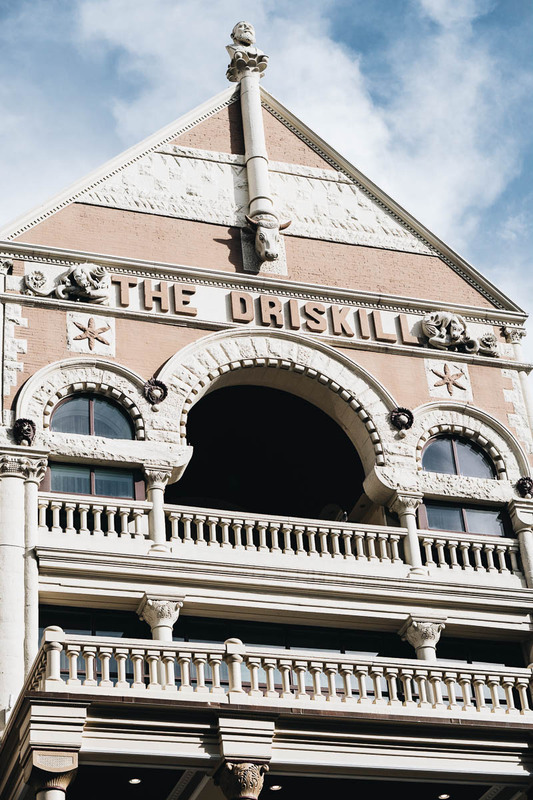 I chose to spend the nights in The Driskill, a beautiful landmark located in downtown Austin. 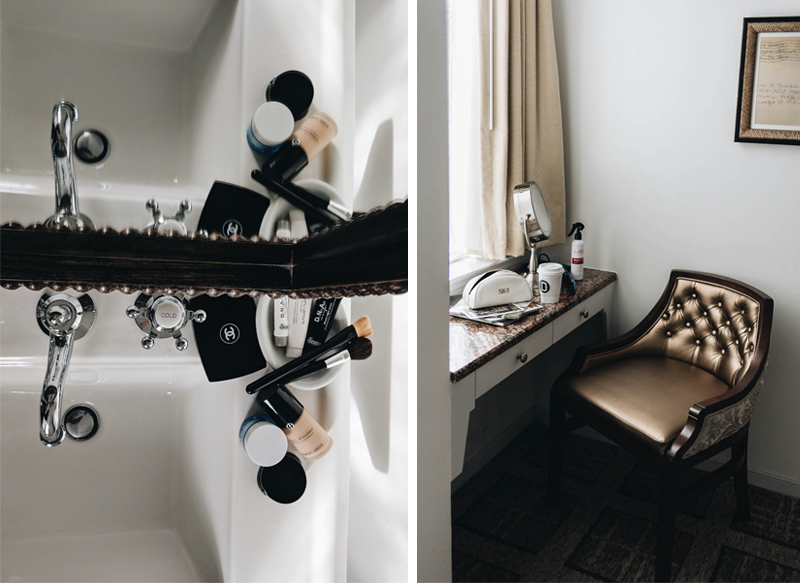 Not only do I love the aesthetic of their interior design, but the hotel is close to so many great restaurants and bars and an iconic movie theater. 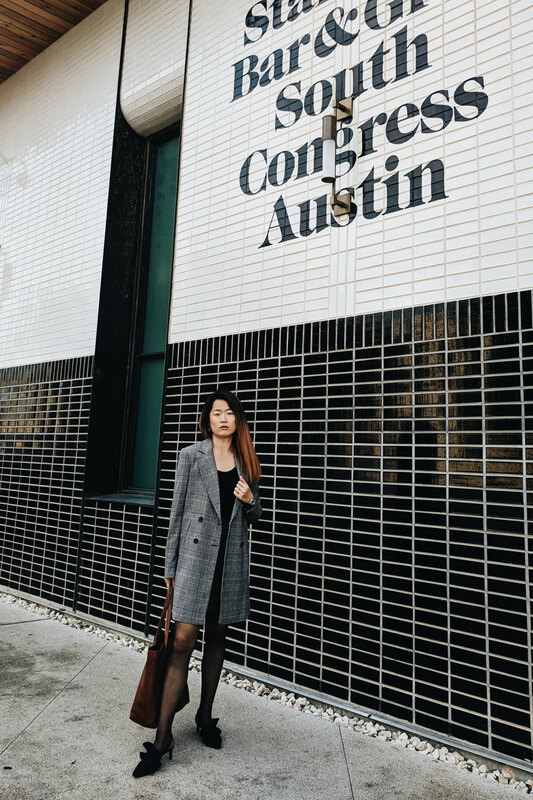 Watch a movie at the Alamo Draft House (on 6th street), a famous Austin-originated cinema chain that’s known for its strict etiquette and a comfortable environment where you can order wine and pizza from your seat. 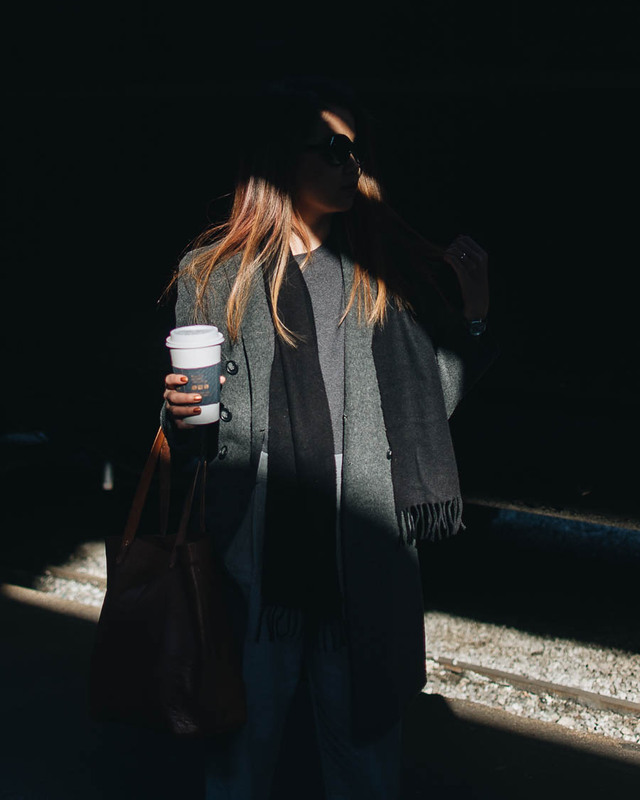 Stop by Cafe Medici for coffee. Enjoy some of the best margaritas around and have a hearty dinner at Gloria’s Latin Cuisine. Experience proper Texas BBQ at Cooper’s Old Time Pit. Everything is tasty but you have to try the brisket. Have a drink at Midnight Cowboy, a hidden lounge with fantastic cocktails. Reservation is required. All of these places are accessible by foot and you’ll have a fun experience full of Austin vibes. 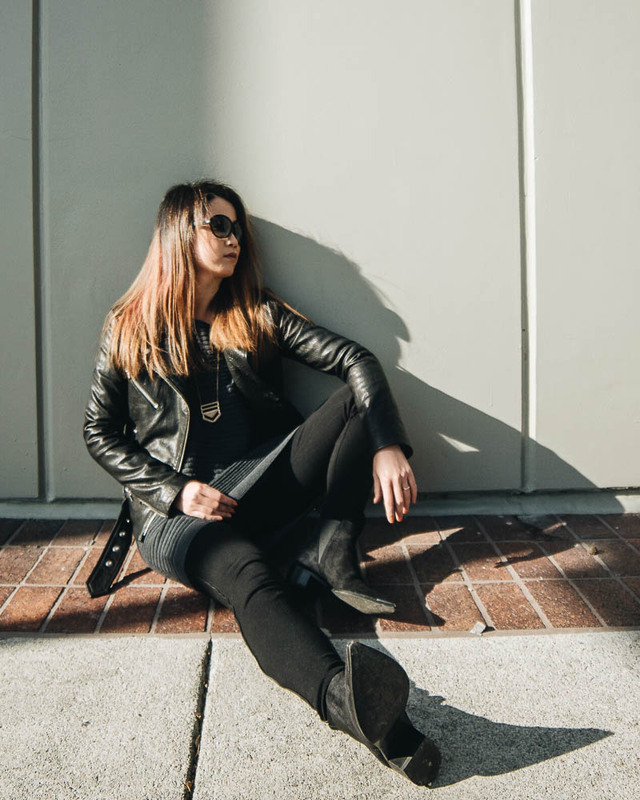 A leather jacket is so versatile that you can create very different vibes with it. 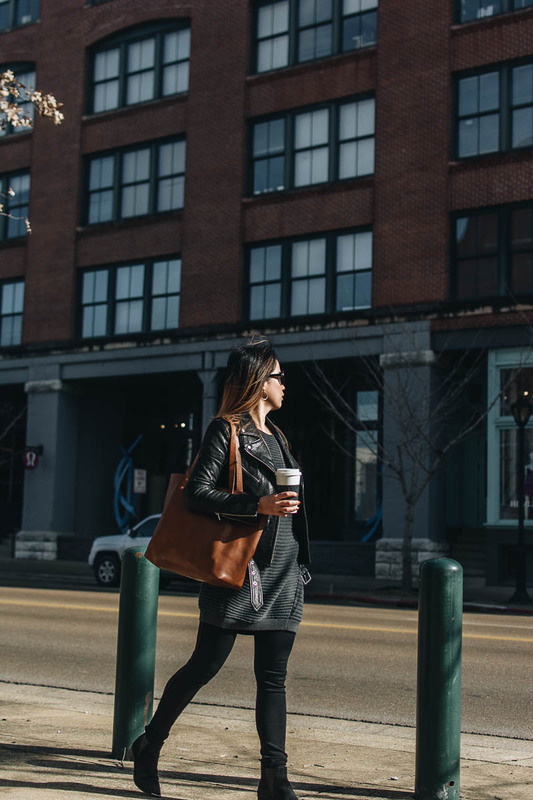 During my visit to Chattanooga, I created this outfit with my classic Veda leather jacket, a long sweater, leggings, and boots from Acne Studio, making for a cool look without losing the feminine touch. In 2013 I launched my food blog Omnivore’s Cookbook and I turned it into a full-time business. 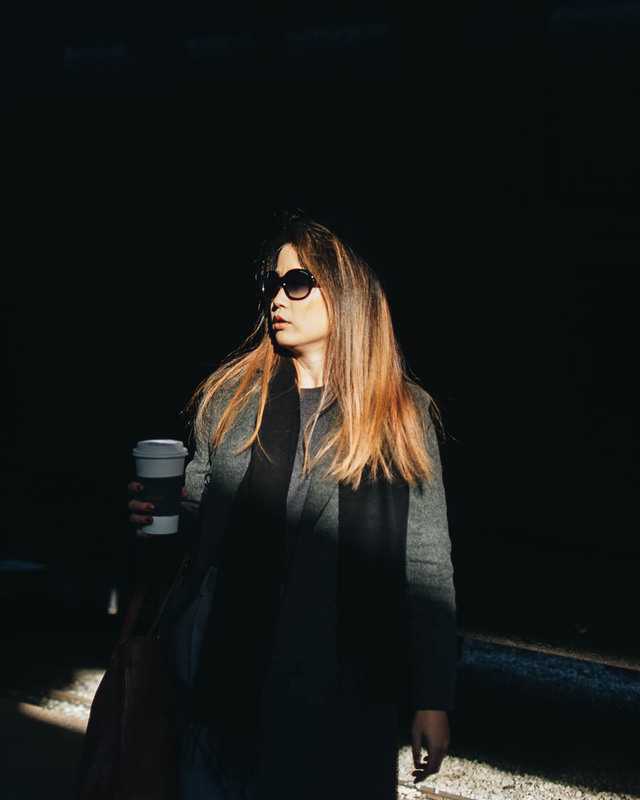 Once I’d had a taste of being an entrepreneur, there was no going back. I had been happily running my blog in a vacuum-bubble with very little contact with the outside world. A turn of events happened in September 2017, when I was invited by the Indonesian Tourism Board to travel to Indonesia with a bunch of bloggers on a press trip. 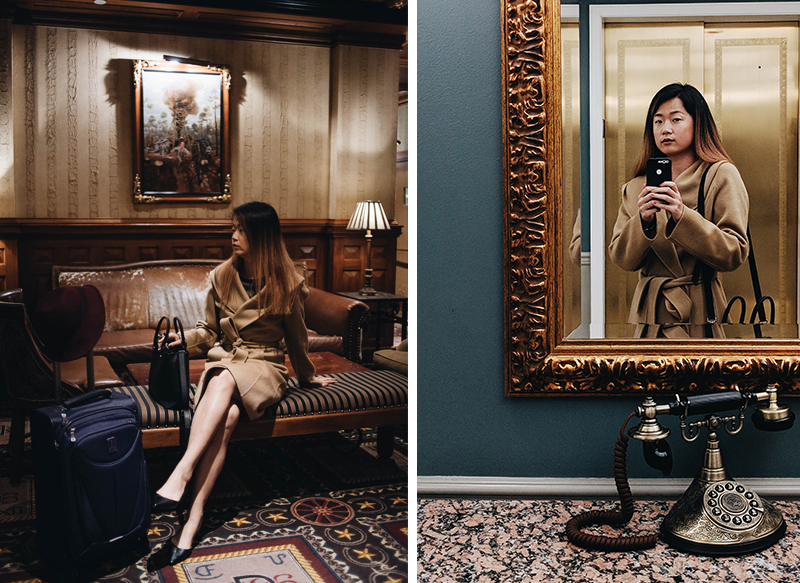 Different from my expectation that I’d be traveling with food bloggers, my companions were from very different fields such as fashion, travel, and lifestyle. The experience of the trip was mind-blowing in terms of inspiration and content creation. I learned to see things from different perspectives, through the lenses of others. 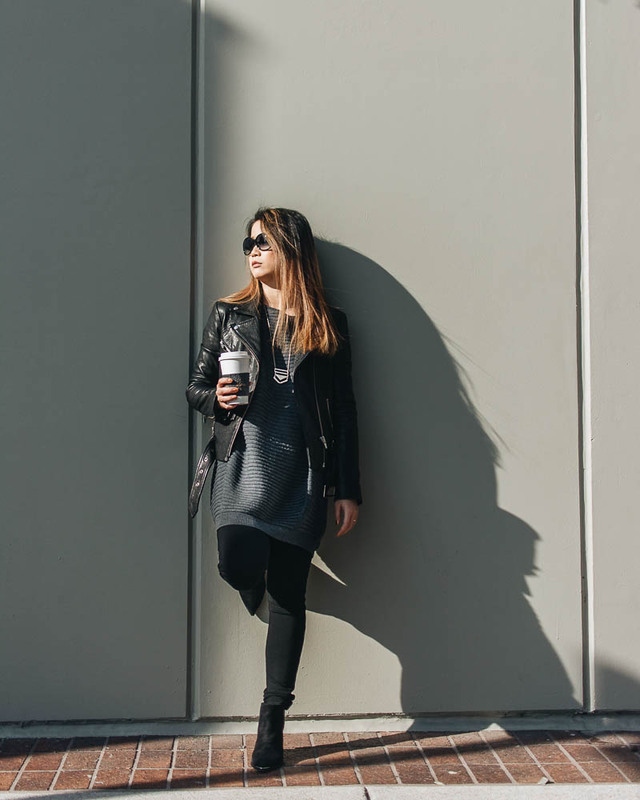 I also got very fascinated by the world of fashion blogging. It’s so ironic because the past 33 years of my life have not been fashionable at all. After moving to the US in 2015, the only clothes shopping I did was for a dozen black T-shirts from H&M and half a dozen sports bras from Costco. I didn’t care because I was constantly working at home alone. Plus, being raised in a strict Asian family caused some serious low self-esteem issues for me. I thought I’d never look good no matter what I wore. The Indonesia trip opened my eyes towards fashion. And how it is deeply related to design, creativity, self-love, and confidence-building. 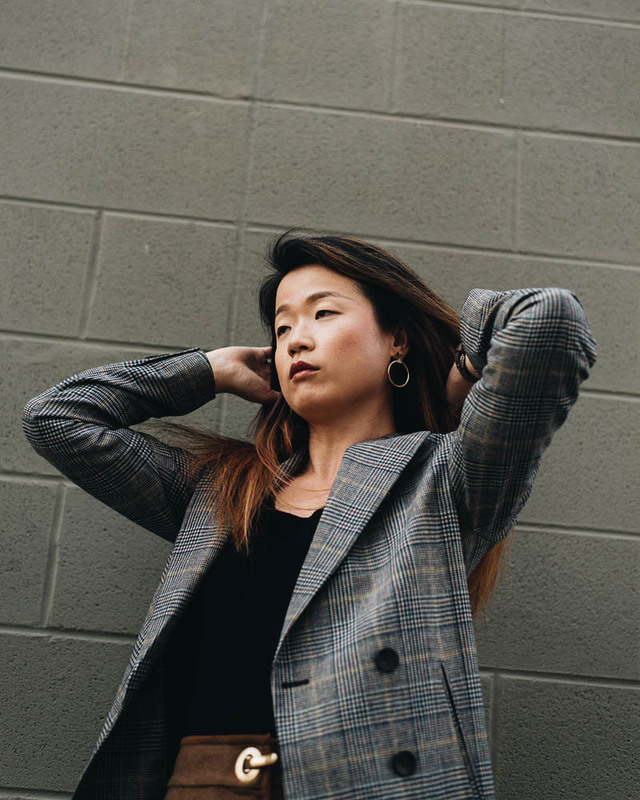 I was so curious about the fashion blogging industry that I booked myself a day trip to LA for the Fohr Card conference one month after Indonesia. It was so far out of my comfort zone and I was terrified to go. But I couldn’t help it. 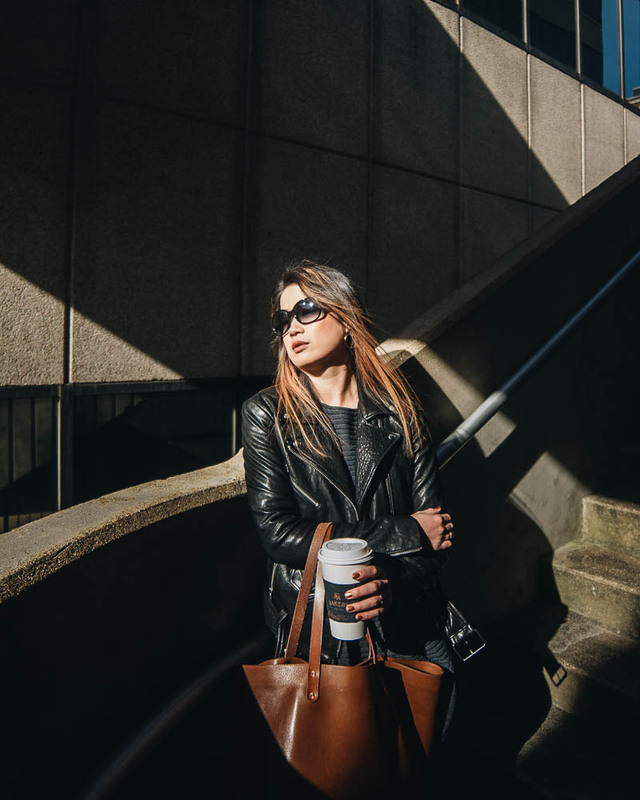 I knew no one at the conference and my work wasn’t remotely related to fashion blogging. But somehow the idea lingered in the back of my mind after I came back to Austin. I tried to suppress the idea of opening a new Instagram account to share the new outfits I’d purchased in LA. And failed. So I started my magzzhu Instagram account on the 16th of November 2017. I was just going to see how long it lasted until the sparks wore off. It only got stronger. I decided to dive headfirst into this strange world with a new blog on New Year’s day. I’m excited to see where it goes. Cheers to all of you and I wish you an amazing 2018.